Two weeks ago my interest in WWE programming was at its highest level in years. Last night, I missed the first 15 minutes of RAW and after watching for 20 minutes I fell asleep. How WWE has handled the CM Punk storyline, while presenting a somewhat logical reasoning, is part of the reason for bringing my interest level back down to normal levels. The other reasoning is something I’ve touched on in a previous post all the episodes feel the same. I understand the WWE hierarchy of talent and realize fans want to see the top superstars, but something needs to be done to freshen up the shows. Looking at the RAW roster page on wwe.com, when was the last time Curt Hawkins, Chris Masters, Primo, JTG, David Hart Smith, Drew McIntyre or Tyler Reks were on RAW? There are eight guys who get no airtime while the same ten guys are on every week. And another 5 are on at least every other week. (Numbers don’t include Big Show who’s currently “injured.”) A third of the roster aren’t just being used poorly, they’re not being used at all. (For sake of argument I’m pretending NXT and Superstars don’t exist.) Why can’t these guys get on air? One defense of not using them is the theory that only feuds ending up on PPV should be focused on during the show. I don’t buy into this theory. In fact, I’ll counter and say that theory is why more guys should be featured on TV. Right now, SummerSlam is 12 days away. There are only 3 matches announced. 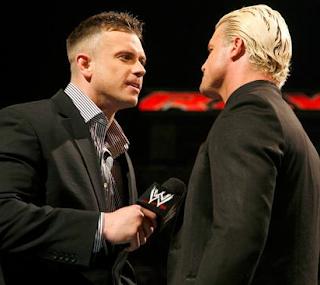 On RAW, Dolph Ziggler and Alex Riley had a face off; I’m betting they’ll have a US Title match at SummerSlam. If that happens, is 13 days really enough time to get fans interested in a US title match? Or any match for that matter. What I would like to see is feuds being time to grow. Instead of rushing a match onto PPV, if the roster was rotated on a weekly basis, and the same wrestlers didn’t fight each other in every match, a feud could be built over the course of at least two months instead of two weeks. Instead we get the same matches, the same promos, and the same commentary. Where’s the interest to watch every week? What do you think? Am I alone in this thought? Let us know your thoughts on our Facebook page. Hit us up on Twitter and YouTube.